From the very first days of the College back in 1863, our Founders sought to offer an education to boys of all backgrounds and faiths. At Newington our diversity is our strength. 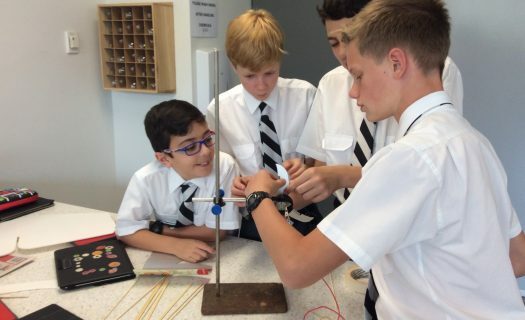 The Newington College Endowment Fund aims to have in place by 2040, the means to provide 100 boys of potential, with proven financial need, the chance to experience a Newington education. This is Newington’s social justice policy in action, and an active pursuit of Newington’s founding value of diversity. To achieve this goal, we need your support. The Newington College Endowment Fund is an aggregate of all existing Bursary Funds and has the goal to provide 100 Bursaries on a continuing basis. In addition to these Bursaries, the College awards a number of academic, music and all-round Scholarships and these will continue to be awarded every year. The College currently has a modest Bursary Fund and a number of individual Bursaries. These have been supported over many years by generous Old Boys, parents and other members of the Newington Community through tax deductible donations or as a gift from a Will through our Founders Society, the College’s Bequest program. All of these Bursaries are now part of the Endowment Fund. Existing and new Bursaries will maintain their identity and respect the wishes of the benefactor with the Endowment Fund being the aggregation of all funds managed. Can we reach our goal of 100 bursaries? To fund 100 Bursaries, we need to raise $240 million by 2040. 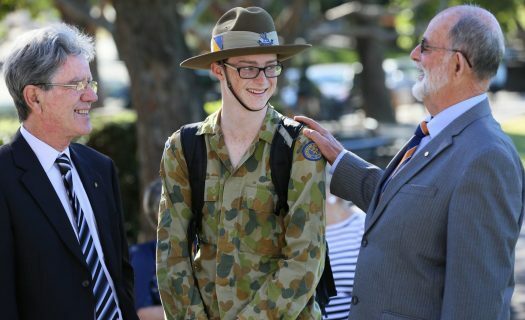 With our current funds and by raising $1.5 million per year, indexed by 10%, for 10 years, we will realise our goal of offering life changing opportunities to boys of potential and increasing the diversity of our student body. Prudential management of all funds under trust is the highest priority for the Foundation and College Council. Governance is provided by the Council’s Investment Sub-committee and after a rigorous tender process, J B Were were appointed as Fund Managers. The College has a strict investment policy that focuses on prudent and appropriate investments that meet both the College’s ethical guidelines and investment criteria and controls. All investments are made with the underlying philosophy of strong governance structure, our Christian values and strong reputation. Justin Bosilkovski (ON 2005) started Year 7 on a full fee Bursary and in 2005 he finished Year 12 as the College’s Senior Prefect. At his final School Assembly, Justin delivered a heartfelt and stirring speech about joining the Newington family. Today, Justin is now a Senior Associate at Greenhill & Co, an American listed Investment Bank and making the most of the opportunities given to him. What difference can a bursary make? Bursaries can transform lives. Every donation, large or small, regular or one off, will see us get closer to our goal of providing 100 boys of potential and financial need with the opportunity to a Newington education.